Product prices and availability are accurate as of 2019-04-21 11:56:04 EDT and are subject to change. Any price and availability information displayed on http://www.amazon.com/ at the time of purchase will apply to the purchase of this product. 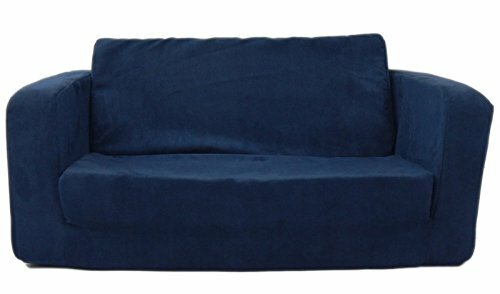 The Fun Furnishings Micro Toddler Flip Sofa is roomy enough to give a couple of kiddos space to sit and visit or one particularly sleepy child a cozy napping spot. The seating area is 20 in. across and 33 in. when fully extended. 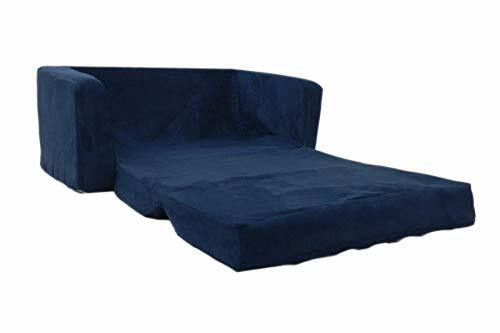 This foam flip-out sofa is incredibly cushiony and features your choice of colorful slip cover that can be easily cleaned with mild soap and water. Made in the USA. About Fun Furnishings This company was created in 1993 in response to a need for more furniture choices for kids who had outgrown cribs. Top quality foam sofa and chair sleepers were Fun Furnishings' debut pieces. They were an instant hit on the market. Since then, the company has expanded their innovative designs and continues to create delightful, quality furniture for all kids. 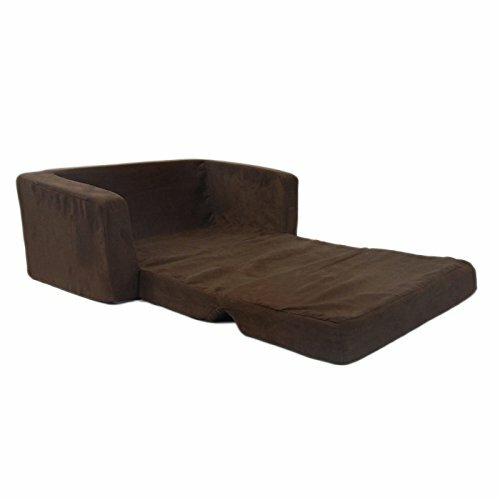 Dimensions: 16L x 26W x 11H in.. Micro suede fabric and polyurethane foam cushions. Choose from the available color options. Recommended for kids 2-5 years old. Weight Capacity: 50 lbs. Easy-to-clean removable slip cover.